Super spy teams aren't born...they're hatched! 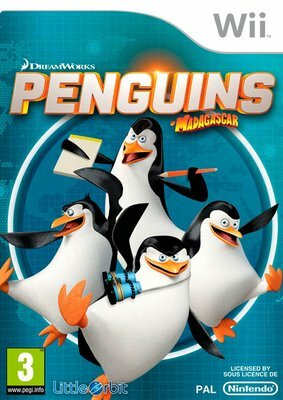 The four web-footed operatives, Skipper, Kowalski, Rico and Private, uncover a nefarious plot by the evil octopus, Dave (Dr.Octavious Brine) to destroy the penguin world as we know it. Players will travel to top-secret locales and embark on covert missions to thwart Dave’s evil plans. Players will be able to play as the four penguins and instantly swap between them depending on the situation encountered. For example, Rico, a demolitions expert, loves to blow things to smithereens while Skipper can dish out his stun slap to give enemy octopi high-powered smackdowns! Players can solve puzzles by choosing the penguin whose natural skills are best suited for the task.